I still seem to be on a bit of a bread baking obsession at the moment. Ever since I discovered just how easy it is make bread I have not stopped baking it. I started with basic bread, moved on to pizza bases, and now I’ve started playing around with stuffed breads. 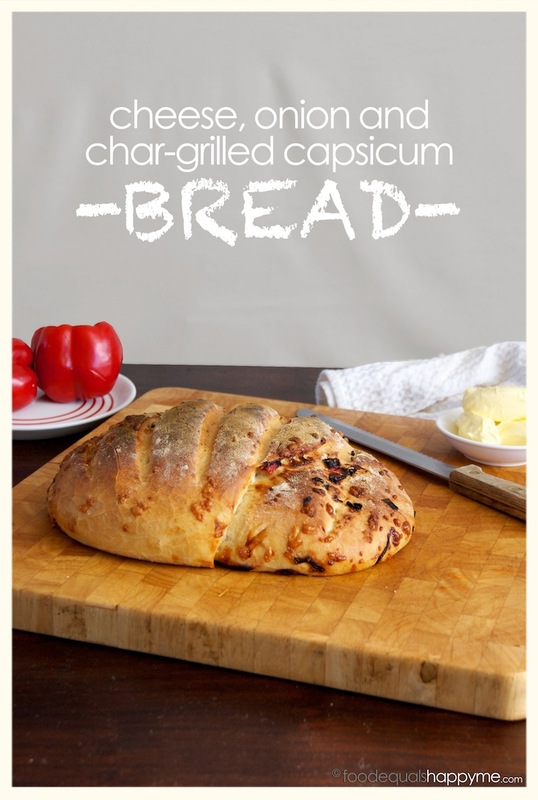 Think about it, beautiful crusty bread, with a soft inside, and filled with pockets of cheese, onion and char-grilled capsicum – mmm! 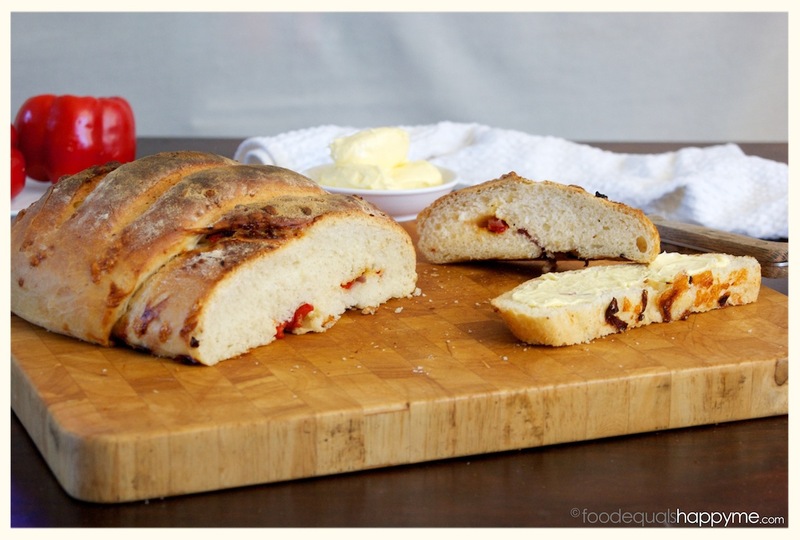 This is definitely a must try recipe, so simple and so very tasty. Mix the yeast, sugar and warm water in a bowl and set aside for 10mins or until frothy on top. Place the flour and salt in a bowl and mix to combine. Make a well in the center of the flour and add the butter and yeast mixture. Mix until combined and then turn the dough out onto a lightly floured surface. Knead for 5mins, then roll into a ball and place in a lightly oiled bowl and cover with cling wrap. Leave to rest in a warm place for 1hr or until the dough has doubled in size. While the dough is resting cook the onion in a pan over a medium heat until soft, set aside to cool. 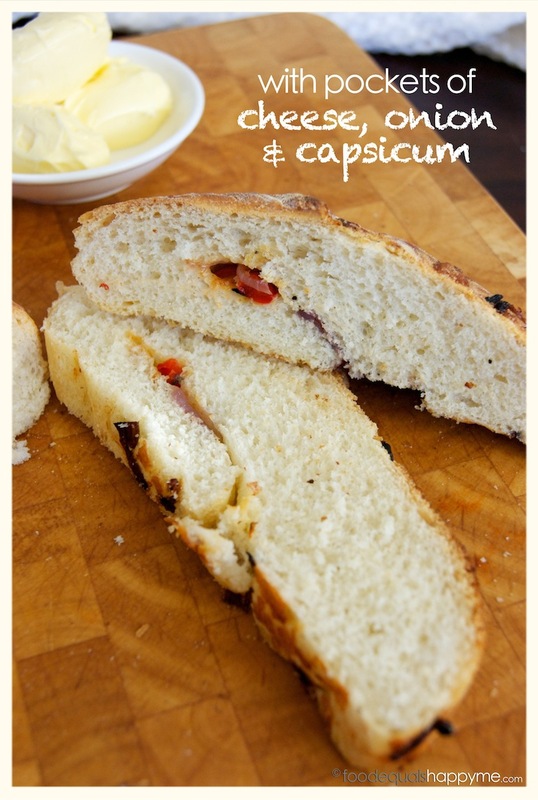 Cut the capsicum into strips and cook on a chargrill plate or bbq until soft. Cut the strips into smaller squares and set aside to cool. 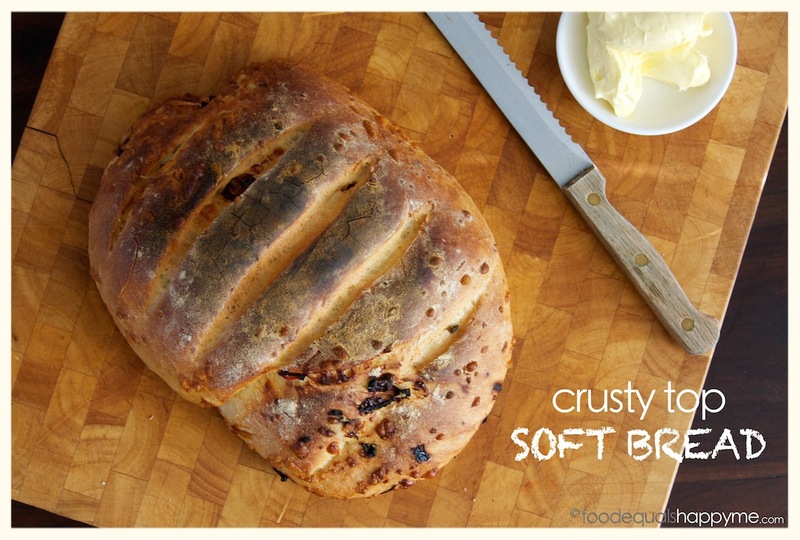 When the dough has doubled in size, knock it back with your fist, turn out and knead for 1min. Roll the dough out to a flat shape and sprinkle over the cheese, onion and capsicum. Roll the dough up to enclose the ingredients. 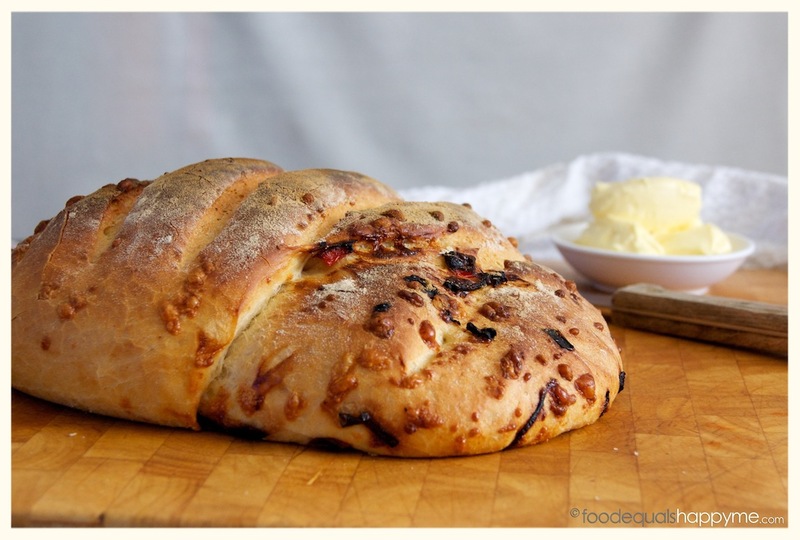 Carefully shape the dough into a neat oval shape and then place on a lightly oiled baking tray, cover with a tea towel and leave in a warm place to rise for another 1hr. Pre-heat the oven to 220 degrees c and place a baking pan in the bottom of the oven. When you are ready to cook the bread, fill the baking pan with a little water to create steam, the steam will help to make a crusty top. Sprinkle the top of the loaf with a little flour and make a couple cuts along the top. Cook the bread for 30mins and transfer to a wire rack to cool before serving. A handy tip for proving bread in winter when there is no warm place to leave it to rest, is to set the oven to lowest temperature and sit the bowl on the open oven door. This creates a nice warm place for the bread to rise. Serve the bread fresh or toasted with butter. 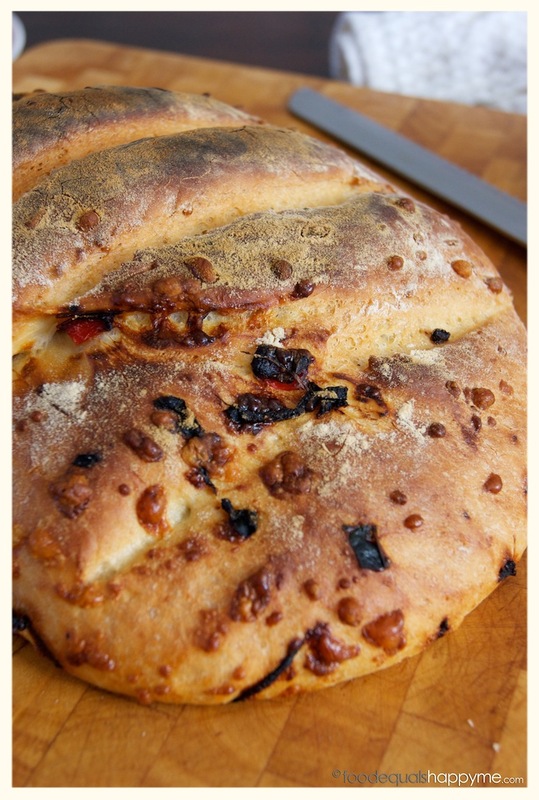 This is also a great bread to have as a side with a meal, with something like a bolognese or smoky baked beans. Lovely pictures. 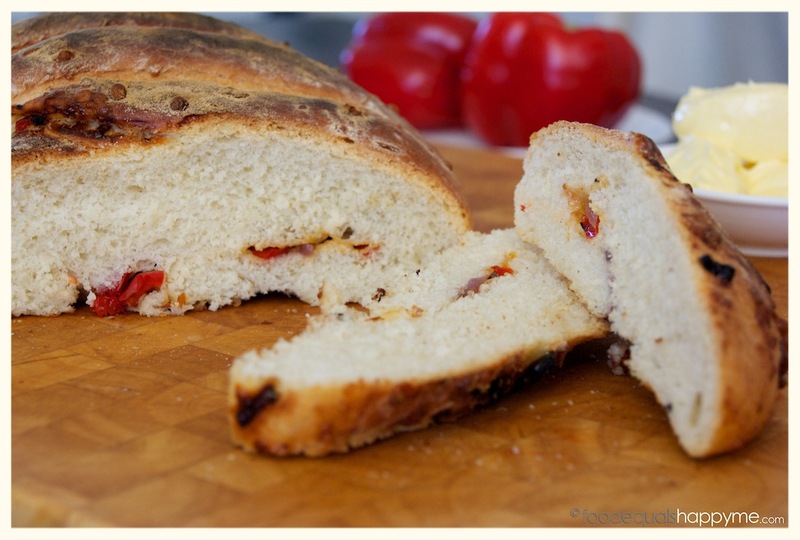 I also love making bread, but I have a hard time eating a whole loaf before it gets dry and stale. Or, well, honestly I could easily eat it all, but I try to not eat that much bread.